Kathryn W. Miree & Associates, Inc.
Elder abuse affects our families, friends, colleagues, donors- just about everyone. Yet it remains a fringe issue, with little understanding as to how we as advisors, fundraisers, or friends can address it and what tools are available to us. We will walk through several case studies to illustrate the challenges present in elder abuse cases. 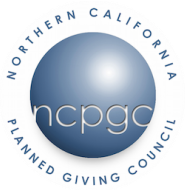 The success of a planned giving program starts with the commitment of the Board of a charitable organization to its fundraising and development initiatives. With the largest generation of donors in history turning 70 over the next 15 years, are you prepared to address and potentially benefit from managing the “donor downgrade”? Join the conversation with three planned giving officers who will share their vast experiences in successful prospect outreach, cultivation, and stewardship. In this session, you will learn best practices for identifying gift prospects with complex assets, as well as the strategies for closing these gifts. Picture it: well-established institution; old marketing tools; moderate but consistent legacy gift activity. Two seasoned professionals breathe new life into a rusty legacy marketing machine. Come hear how they did it. Insights on the impact of the new tax law on charitable gifting and how conversations with donors will have to shift towards a multi-generational focus. The presenters will take you on a “guided hike” through the necessary expectations to set when working with donors on real estate gifts. This session will review key issues around the use of donor advised funds and will highlight ways that charitable organizations can work with donor advised fund providers to attract support. This session focuses on the policies and procedures that will encourage efficient use of fundraising resources while managing risk to the organization. Examine potential risks to your fundraising programs, learn strategies to control those risks and a framework to engage staff / board leadership in sustained success. Our donors’ generous gifts from wills and trust are only complete AFTER we receive it and use it as they intended. This session will explore what philanthropic vehicle will best achieve your client/donor's objectives - from private foundations to single member LLCs. A thought-provoking presentation where attendees will learn about the growing trend of contributing complex assets, such as privately-held C-and S-corp stock, real estate, limited partnership interests, and certain publicly-traded stock, to public charities. These can often be the most highly appreciated assets in a client's portfolio, and contributing them to charity can potentially minimize capital gains exposure. This session, using case studies, shows that you will close more gift annuities if you are not limited to common donor scenarios, traditional funding assets, and standard presentations. We will explore how the new tax laws impact the planning for charitable lead trusts and other alternatives. Gift planning metrics are frequently misunderstood and misapplied. This session focuses on tying metrics to a program plan and selecting and applying metrics that motivate success. Kathryn Miree & Associates, Inc.
How do you attract a large gift for your organization? Once you manage to do so, what are the next steps? How do you document the parties' mutual promises? We will speak from firsthand experience, as well as some historical examples, on what works, what doesn't, and how to avoid pitfalls. This workshop explores a possible strategy to start talking to younger donors about future bequests. Looking to advance your career in the nonprofit world? Interested in transitioning to the nonprofit world from the corporate or legal sector? Can’t figure out how to find your next staff person? Can’t figure out how to best promote your own talents? This workshop will provide you with valuable tools to accomplish all your personal career goals and recruiting tips from the view point of a career nonprofit executive turned recruiter. Registered attendees will be contacted via email and provided with a link to access presentation handouts 1-2 weeks prior to the conference. Please note that some handouts will be made available the day of the conference.